“Oh tiger among men, Oh darling son of the king, I will also be giving you several good hearted powerful missiles like SAmvartha(whirl wind) , Mausala(the club) , Sathya (truth) and Maya maya(Complete illusion) and Oh mighty armed Rama I will also give you a missile of the Sun god called Thejaprabha(whiuch reduces the power of enemy) , the arrow of the moon called Shirhira(autumn) , the fatal arrow of Thwashta called Sudhamana , the dangerous missile of Bhaga called Sheethasu(that which causes cold) and Manus arrow called Manava( Human being) . This is the end of the twenty seventh chapter Of Balakanda of the holy Ramayana composed by Valmiki as the first epic. Sarga(Chapter) 28. Rama gets power to exterminate and wants to know his duties to be performed. This is the end of the twenty eighth chapter Of Balakanda of the holy Ramayana composed by Valmiki as the first epic. Sarga(Chapter) 29:Viswamithra starts penance for Yagna in Sidhasrama. Next for the good of all the world Vamana begged for three feet of Land and on receiving it, with three steps he strode over all the three worlds, gave the earth to Indra and he also gave back Bali his vitality and thus that Lord Vishnu made the three worlds under control of Indra. They did worship that was filling to the great sage Viswamithra and also offered great hospitality to those princes , Rama and Lakshmana. When they told this that resplendent great sage Viswamithra entered in to ritualistic penance according to rules and controlled all his senses. This is the end of the twenty ninth chapter Of Balakanda of the holy Ramayana composed by Valmiki as the first epic. The lotus eyed Rama seeing that those dangerous people were about to fall on the fire alter in haste addressing Lakshmana told the following . After the end of the Yagna, the great sage Viswamithra seeing all directions and seeing no calamities told like this to the son of Kakustha clan. This is the end of the thirtieth chapter Of Balakanda of the holy Ramayana composed by Valmiki as the first epic. When the night turned in to morning , they performed the morning rituals , they both together approached sage Viswamithra and other sages. After travelling a long distance with effort , when they saw the sun is about to set , those group of sages struck camp on the banks of river Sona. This is the end of the thirty first chapter Of Balakanda of the holy Ramayana composed by Valmiki as the first epic. Sarga(Chapter) 32:The story of Kushnabha and the curse to his one hundred daughters. “ Oh Rama, Kushanabha , who was a royal sage had one hundred matchless daughters of matchless beauty through Grithachi, a soul of Dharma. This is the end of the thirty second chapter Of Balakanda of the holy Ramayana composed by Valmiki as the first epic. Sarga(Chapter ) 33: Kushanabha’s hundred daughters marry king Brahma Dutta. This is the end of the thirty third chapter Of Balakanda of the holy Ramayana composed by Valmiki as the first epic. Sarga(Chapter) 34: The story of king Gadhi , the father of Viswamithra. This is the end of the thirty fourth chapter Of Balakanda of the holy Ramayana composed by Valmiki as the first epic. After sitting comfortably there as per the justified order , Rama and Lakshmana who were with a satisfied mind spoke to sage Viswamithra. Motivated by the words of Rama the great sage Viswamithra started telling about how the river Ganges was born and its further progress. This is the end of the thirty fifth chapter Of Balakanda of the holy Ramayana composed by Valmiki as the first epic. This is the end of the thirty sixth chapter Of Balakanda of the holy Ramayana composed by Valmiki as the first epic. This is the end of the thirty seventh chapter Of Balakanda of the holy Ramayana composed by Valmiki as the first epic. This is the end of the thirty eighth chapter Of Balakanda of the holy Ramayana composed by Valmiki as the first epic. This is the end of the thirty ninth chapter Of Balakanda of the holy Ramayana composed by Valmiki as the first epic. Sarga(Chapter)40: Digging of earth till Rasathala and burning of Sagaras by sage Kapila. This is the end of the fortieth chapter Of Balakanda of the holy Ramayana composed by Valmiki as the first epic. Sarga(Chapter) 41: Anshuman gets back the horse and Yagna is completed. This is the end of the forty first chapter Of Balakanda of the holy Ramayana composed by Valmiki as the first epic. This is the end of the forty second chapter Of Balakanda of the holy Ramayana composed by Valmiki as the first epic. Sarga(Chapter) 43. Bhagiratha brings down and does obsequies to his fathers. 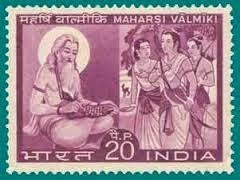 This is the end of the forty third chapter Of Balakanda of the holy Ramayana composed by Valmiki as the first epic. Sarga(Chapter) 44: Lord Brahma blesses King Bhagiratha. This is the end of the forty fourth chapter Of Balakanda of the holy Ramayana composed by Valmiki as the first epic. Sarga(Chapter) 45. Reaching of town of Vaishali and story of the churning of ocean of milk. This is the end of the forty fifth chapter Of Balakanda of the holy Ramayana composed by Valmiki as the first epic. Sarga(Chapter)46 . Dithi wants a son to kill Indra and Indra cuts that son into seven pieces. This is the end of the forty sixth chapter Of Balakanda of the holy Ramayana composed by Valmiki as the first epic. This is the end of the forty eighth chapter Of Balakanda of the holy Ramayana composed by Valmiki as the first epic. This is the end of the forty ninth chapter Of Balakanda of the holy Ramayana composed by Valmiki as the first epic.